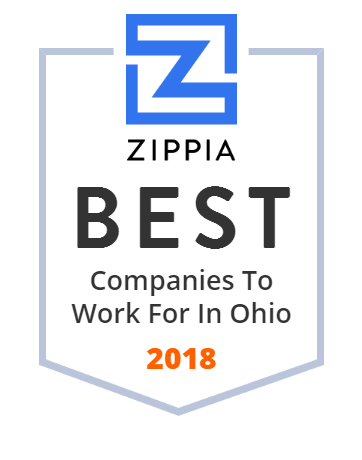 We hand-curated a list of the biggest companies to work for headquartered in and around Ohio using data on salaries, company financial health, and employee diversity. Ohio University is a public research university in Athens, Ohio. Kent State University is a large, primarily residential, public research university in Kent, Ohio, United States. Provides Help Supply Services, Specializing In Truck Drivers. Provides Non-Local Trucking. Provides Local Trucking (Without Storage). Covelli Enterprises is the nation's largest franchisee of Panera Bread restaurants and is committed to giving back to the communities where it operates. Case Western Reserve University (CWRU) is a research school that offers undergraduate and graduate degrees from eight schools - business, engineering, law, arts and sciences, dentistry, social work, nursing, and medicine at its campus in Cleveland, OH. Established in 1826, today CWRU has over 10,000 students, about 3,500 full-time faculty, and continues to be one of the best research universities in the US , ranking 42nd among national universities. What are we celebrating today? Everything that matters to you. We believe every occasion is an opportunity to celebrate life and own the moment. Milacron is an American limited liability company that manufactures and distributes plastic processing equipment for fields such as injection molding, extrusion molding, and metal injection molding. Premium Transportation Staffing, Inc. provides driver and logistics staffing, human resource (HR) management, benefits administration, and comprehensive workers' compensation services in the United States. Its HR administration services include personnel policies and employee handbooks, hiring, separation guidance, and employment law compliance; and driver and logistics staffing services comprise screening and qualification of applicants, and pre-employment physical and drug screening, as well as permanent and temporary staffing. The company s worker's compensation and loss prevention services include safety evaluations, claims management, safety meetings, and returns to work and light duty programs; and payroll and tax administration services comprise processing, tracking, and reporting services. Premium Transportation Staffing, Inc. was founded in 1985 and is based in Medina, Ohio with branch offices in Greensboro, North Carolina; Richmond and Indianapolis, Indiana; Altamonte Springs, Florida; and DuBois, Pennsylvania. Sbarro Holdings, LLC, through its subsidiaries, operates Italian quick service restaurants worldwide. The company was incorporated in 2007 and is based in Melville, New York. Sbarro Holdings, LLC operates as a subsidiary of MidOcean SBR Holdings, LLC. Delivering the world's best label solutions that help our customers build their brands, while adding value to our associates, our shareholders, and the communities in which we operate. Discover exceptional healthcare services including rehabilitation, skilled nursing and long-term care at Saber Healthcare Group. Contact us today to find a facility near you!